Can't wait to play? 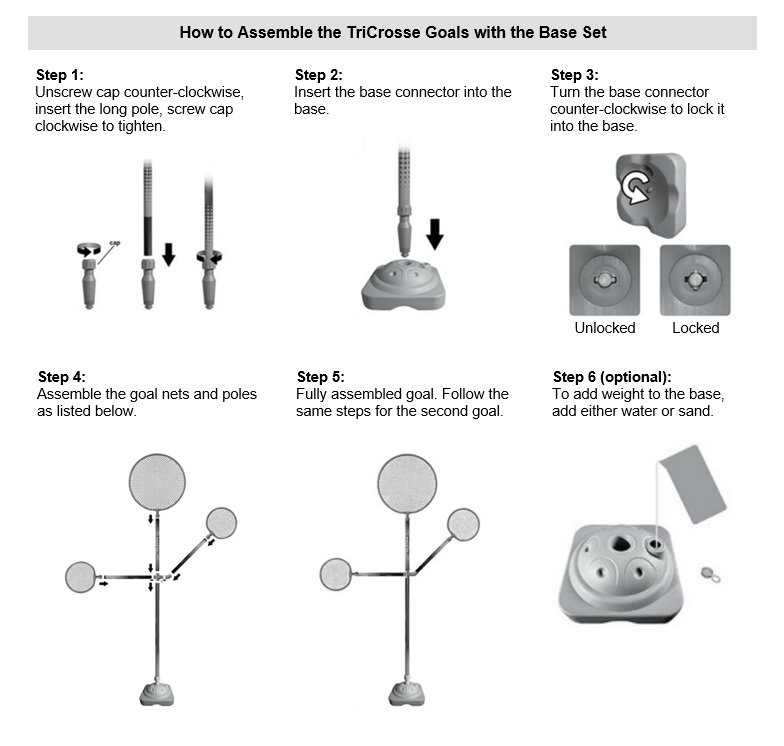 Follow the easy instructions below and you'll be playing TriCrosse in a couple minutes. 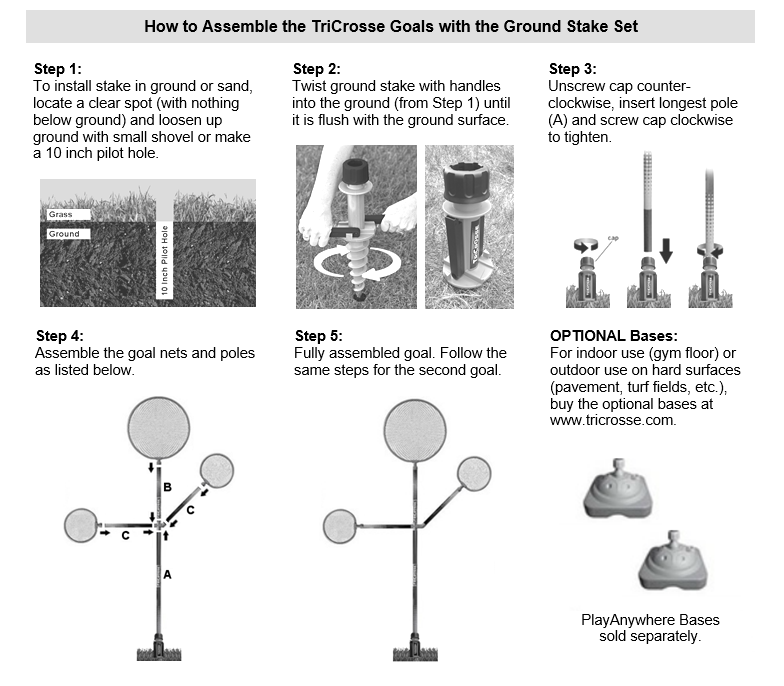 First, we list the Ground Stake Assembly and further down is the Assembly for the Bases. There is a video below for those that don't feel like reading instructions. Watch the QuickStart video for easy setup. Don't feel like reading instructions? Me neither. I want to PLAY! Here's a short video to see how to setup the goals with the bases.